Are you part of an organization that sponsors camping trips for children? Every year, thousands of groups such as school groups, scouting organizations, and church groups take kids on camping trips. The goal of these trips is not only to teach camping and survival skills such as tracking, fire making, and backpacking, but to teach the kids teamwork, self reliance, and to think outside of the box. If you truly listen to these kids, you can see the difference when they attend these kinds of programs. “Outdoor lab,” scouting camp activities or similar programs often happen during the formative years of late elementary school or early junior high school, and these lessons often stick with these children for the rest of their lives. Of course, these kids will need to pick up the essential camping supplies before they begin this life changing adventure. They will need clothes, towels, shower supplies, snacks, backpacks, and more! Many organizations have begun soliciting donations to help cover the expenses of these items for children who would otherwise be unable to go on these camping trips. If you’re not already helping an organization in this manner, it would be a great way to spend some of your charitable dollars. Many times, the beneficiaries of these camping trips are children from poor, inner city areas. They’ve never been outside of the city, never been in a sleeping bag or a tent, and never experienced the joy of s’mores cooked over a campfire. Going on a camping trip forges new friendships and teaches skills and life lessons that simply can’t be learned in a classroom. Children aren’t just learning how to identify an animal by its’ tracks, but how to depend on others in sticky situations and how strong they truly are. In a household where it can be a struggle for parents to put food on the table, finding the money for camping supplies can be difficult. However, individuals or organizations can help children and keep these experiences a reality for these kids who so desperately need them. By hosting fundraisers and donating towels, sleeping bags, or bulk backpacks, your organization can help insure that camping trips like this continue. Finding these products at a discounted price is much easier if you are planning to buy in bulk. You may find it helpful to look for these items at online dollar stores, to enable your organization to get the most bang for their buck. It’s hard to believe that it’s already time to start thinking about back to school supplies. Some students have barely finished the latest school year, and here we are, already planning for the next school year. Many times, the window where back to school supplies are on sale is fairly small. It seems like to get the best deals, you need to cram all of your shopping into seven to ten days, and that’s just not a valid plan for most people. For some families, the budget is so tight that buying back to school supplies can be a bit tough. It’s good to put together a plan so that you aren’t blowing a bunch of money, or having a large expense all at once. While you may not get your school supply list until a few short weeks before school starts, you can reasonably determine some of the items you will need, and try to find them ahead of time. If you have children in elementary school, it’s a good bet that you’ll need crayons, glue, markers, pencils and a backpack. Older students will likely need pens, pencils, notebook paper, and composition notebooks. You’ll want to begin by making a list. Make sure to include a paint smock or other art supplies, large boxes of tissues as well as small pocket packs to keep in backpacks and desks, erasers, and school supply boxes. If your budget is limited, try setting aside a small amount of money each week. While you can hold this small amount until back to school supplies go on sale, you may find it easier to check places like dollar stores to see if you can find those items at already discounted prices. By doing it this way, you’ll have a good start on your back to school supplies, and won’t have to worry about stores running out of things. Not much is more frustrating than needing twelve spiral notebooks and having to go to three or four different stores to get them all because everyone else also needs twelve. Plus, if it comes down to it, you can dig into your back to school supply cache to make sure the kids have something to keep them occupied over the summer! As you’re putting together your plan for obtaining all of your necessary back to school supplies, don’t forget essentials like gym shoes and clothes, bike locks, locker supplies like shelves and marker boards, and back to school clothes. Everybody knows that attending a well planned party is a lot of fun. Hostesses that pay attention to every detail always get it right and are able to make an event memorable for their guests. Serving just the right food, playing the appropriate music and being able to pin up perfect decorations can be considered an art form. Adding just the right touches to a party can be lots of fun, but it can also be very expensive! One of the best ways to get the party supplies you need, while still being able to save a few bucks, is to order them from a wholesaler. A wholesaler is someone who buys merchandise in large quantities at low prices and then resells those products, passing the savings on to the consumer. Most people are aware that many businesses and retail stores buy their products from a wholesaler, but what they don’t know is that the average person can order from a wholesaler as well. This kind of process saves a ton of money and can help you get the premium party supplies that you need, at a not so premium price. Nothing else could have such a positive impact on your event. Another advantage to buying wholesale party supplies is that you can buy them in bulk. This can be a god send to someone who plans or hosts events on a regular basis. Silverware, plates, glasses and napkins are all things that keep very well and could be used on many future occasions. Having these items on hand also alleviates a lot of stress. There is nothing more devastating to a hostess than running out of the basics during a party. Buying these items in bulk assures that you will always have exactly what you need every time. It can also add to your savings, as many wholesalers will give you an even deeper discount if you purchase large quantities of party supplies. When searching for a wholesaler to work with, there are a few things you will want to keep in mind. The first is finding a supplier that offers many of the products you will be interested in. If they don’t offer a wide range of the wholesale party supplies that you can use, then they won’t be of much help. By looking online, you can usually find a supplier that carries exactly what you need. You will also want to check out their shipping costs. Some companies offer flat rate shipping for a certain amount of items and others don’t. If you don’t keep an eye on this, the shipping costs could easily outweigh all of the savings you just earned. One of the most important things you will want to find is a supplier that has contact information and is willing to communicate with you. A good wholesaler will be able to take care of any questions or concerns that you might have, and can probably offer some suggestions as well. Once you find the right supplier, getting the wholesale party supplies that you need will be a very easy process. The weather is getting cooler and the season for holiday parties is right around the corner. Everybody loves this time of year. There is nothing better than gathering with your friends and family, enjoying good food and good times, and making memories that will last a lifetime. People become more sociable, more thoughtful, and a sense of magic starts to permeate the air. There is nothing quite like the feeling of being with those you care about at a great holiday party. The downside to all of the fun that comes along with these holiday get together is that it can get very expensive very quickly. One of the best ways to keep your party from getting too pricey is to save as much as you can on party supplies. Every good hostess knows that with the right party supplies and a little bit of creativity, you can set the perfect mood, but all of these things can take a big chunk out of your holiday budget. What most people don’t know is that by purchasing bulk party supplies, you can stretch your dollars so much further. Buying bulk party supplies allows you to get a much deeper discount than you could by purchasing just a few items at a time. Buying your supplies in bulk is a great choice for any hostess because it allows you the perks of saving money and stocking up on supplies at the same time. The one aspect of buying bulk party supplies that most people feel apprehensive about is the quantity of extra products that they will have on hand, but this is nothing to be worried about. Paper goods, plastic silverware and the like can keep forever if stored in a dry place, and can be used for many years to come. Having all of these extras also gives a hostess peace of mind because they know they won’t run out of anything. Nothing could be so embarrassing as having a guest at the buffet line who is looking for a fork and there just aren’t anymore. Worried about having the same types of party supplies for each event? Buy a few classic pieces and they will go with everything. Clear plasticware can be used for every event. Red will work great for Christmas, Valentine’s Day, Memorial Day, the 4th of July, and Labor Day. Orange can set the tone for any fall gathering such as Halloween or Thanksgiving. A few basics can last you for years, and you can still set the perfect mood by adding the right accessories, without the worry that you will run out of the supplies that you use for every party. It’s finally time for kids to start heading back to school. Their parents are taking them shopping and filling up their carts with essential school supplies such as pencils, pens and paper. Most of them are, anyway. As much as parents like to provide for their children, they just don’t always have the money available for the school supplies that their kids need. Not only does this make them feel inadequate, but it hampers the ability of their children to learn in the classroom. Schools usually try to pick up the slack and help with this growing problem, but with the economy the way it is, they have underfunding and budget cuts to deal with. This makes it harder and harder for students to get what they need. Whether you have children or not, there are a few things you can do to help your local schools get the school supplies that they so desperately need, aiding in this important cause. One of the easiest ways to help underprivileged kids get the school supplies that they require is to hold a school supply drive. You can make a list of certain items that will be used, or you can ask for monetary donations and order the school supplies wholesale, giving you more bang for your buck. Once you decide what you will be asking for, you need to get the word out and advertise. Email everyone you know, leave flyers at several popular businesses and talk about your drive as much as you can. You will also need to designate a few drop off points for the school supplies. It doesn’t take a lot of time and effort, and any extra school supplies that you can provide will make a huge difference for kids. Another great way to help with the shortage of school supplies is to acquire and pass out backpack packages. Many online suppliers offer backpack packages at a very reasonable rate, especially if they are going to be donated. What these packages are is a backpack already filled with all of the necessary school supplies that students will be using. You can usually find them with the option of having school supplies for elementary aged children or older students. They are a great value and could mean a world of difference for a child who otherwise wouldn’t be able to get any school supplies. One more simple way to provide school supplies for children is to donate online. There are many websites which offer wish lists for school and teachers. The school faculty puts down what they need and how much it will cost. Once you have found something that you are interested in helping with, all you have to do is contact the school and then send them a donation or the actual school supplies that they are requesting. It’s an easy process, and any school would be happy to have help with their needed school supplies in this manner. One of the biggest problems affecting our education system today is not being able to provide all of the necessary school supplies that our children need. Budget cuts and underfunding are afflictions that have been plaguing every school in every district that is out there. In many of the lower income areas, adequate school supplies are considered a luxury that many have to do without. Schools just don’t have the money that they need, and parents aren’t able to come up with it either. As important as having these items can be to a child’s education, they just don’t make it into the classrooms. Many teachers feel obligated to spend their own personal money to stock their classrooms, feeling that someone has to be responsible, but in today’s tough economy that option is getting harder and harder for them to do as well. One of the ways that schools, teachers and parents can save quite a bit of money getting what our children so desperately need is by purchasing wholesale school supplies. Buying wholesale school supplies is often overlooked in today’s communities for a number of reasons. Many times, a school will work with one company who has always provided them with their supplies. Instead of shopping around for the best prices, many of the staff just order from the same place out of habit. That is what they have done for years and it never even occurs to them to purchase supplies elsewhere. As for parents, most people aren’t aware that they even have the option of buying wholesale. This is usually thought of as a special privilege for business owners, not the average individual. 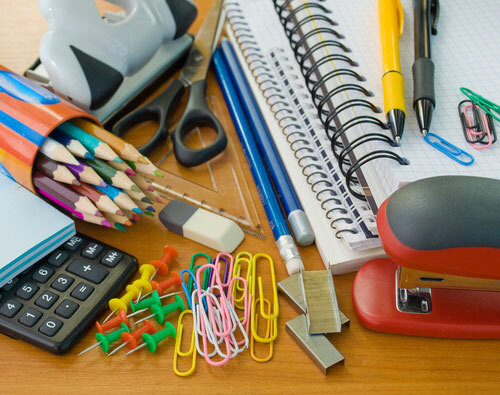 The fact of the matter is, buying wholesale school supplies is the easiest and most cost effective way for anyone to get what they need while sticking to their budget. While purchasing wholesale school supplies is probably not something you are familiar with, it is something fairly easy to do. One of the best ways to go about this is to search online for a reputable dollar store supplier. Searching online saves you the trouble of having to make a trip to any store and it provides the convenience of fitting your shopping time into your busy schedule. It also allows you to find the dollar store supplier that is right for you. You will want to find one that specializes in wholesale school supplies so that you will be able to get everything that you need in one place for a low price. If you do your research, you can probably even find a supplier who offers discounts to schools and other educational organizations. Even without any special discounts, buying wholesale school supplies allows you to get what you need at a much better price than you ever could from any retailer. Once you have picked out your premium school supplies for a not so premium price, you simply place your order and have it delivered directly to your door. Nothing could be easier or more convenient! In today’s tough times, schools are having some difficulties providing all of the educational supplies that they need for their students. Recent tax cuts and budget cuts have meant much less money for schools everywhere. Although these cuts have left many school corporations with minimal supplies, they are still trying to maintain high education standards. One of the ways you can help your local schools and your community is by donating the educational supplies that they so desperately need. Here are a few ways that you can go about doing that. Look for educational supplies at home – Many times throughout our own homes and personal offices, we have a plethora of unused supplies sitting around. You can start by donating a stapler or two, a ream of copy paper or a pack of pencils. Any donations, small or large, can help a school district that is struggling. Pack up any extra educational supplies that you might have and drop them off at your local school’s office. Give the students what they really need – One of the best things you can do when donating educational supplies is to call a local classroom or teacher to find out what they could really use. There are so many things that they could benefit from besides just the basics Materials for special projects, classroom library books and curriculum resources are just a few of the educational supplies a teacher might be longing to have. Share your resources and abilities so that you and the teacher can come up with the best way to help in the classroom. Mail educational supplies – There are many different programs online where various teachers and schools can ask for donations and make a wish list of what they need the most. You can browse the schools in your area, or elsewhere, and decide what you would like to help with. Once you have picked out the educational supplies that you are donating, you can mail them to the school you have chosen. Buy your educational supplies wholesale – Buying anything wholesale means that you can get a much better price than you ever could at any retail outlet. Many times, you can find a reputable dollar store supplier online that can offer you a wide selection of premium school supplies for a very low cost. Some of them are even willing to give a discount if they know that the educational supplies are going to be donated. Tell everyone about the need for educational supplies – Even if you can’t fit donations into your budget at this time, you can be of great help just by spreading the word about how much a few educational supplies could really help out the schools in your area. Post notices on community message boards, write about it on your blog or put up a flyer in your break room at work. The more people find out about shortages on educational supplies, the more they can work together to help provide a solution. As the end of the summer draws near, it is time to focus on getting ready to go back to school. One of the biggest things on your to do list will be shopping for the proper educational supplies. Whether you’re a teacher, parent or student, you know that the cost of these supplies can really add up. It seems as if every year the list of what’s needed gets longer and longer. There is one way, however, to get all of the educational supplies that you need for a very low price…..order them from a dollar store supplier. Ordering your educational supplies in this manner is one of the easiest and most cost effective ways to get ready for the new school year. Doing your shopping with a dollar store supplier has some great benefits. Almost all of their products are sold at a wholesale price. This means that no matter what you buy, the cost will always be cheaper than it would be for any equal product at a retail store. Most people are aware that these types of suppliers exist, but what they don’t know is that the general public can buy from them as well, allowing you to take advantage of their very low prices. A dollar store supplier usually sells their items in bulk. This makes it easy for you to get what you need. Keep in mind that the minimum quantities are usually very low. You don’t have to buy enough product to stock a store, but it would be beneficial for you to buy enough so that you can maintain the low cost of your educational supplies throughout the whole school year. Another perk that comes from ordering your educational supplies from a dollar store supplier is that you can shop at home, instead of having to go to the store. That reason alone make this kind of shopping a pleasant experience. If shopping for educational supplies is something you are going to be doing, then nothing could be more advantageous for you than making your purchases through a dollar store supplier. One of the best things about deciding to order your educational supplies from a dollar store supplier is the ease with which it can be done. It will take very little effort on your part. No traveling, walking through crowded aisles or standing in long lines is required. All you have to do is look for a reputable dollar store supplier online, place your order for your new educational supplies and wait for the package to be delivered to your door. Nothing could be simpler, right? There are a few things you will want to keep in mind, though. When looking for a dollar store supplier online, you will want to find one that has thousands of products available, including all of the educational supplies that you will be needing. You will also want to remember to order in bulk if you can. You will probably use most of what you order, but if not, you can always donate any extra educational supplies that you might have. Shopping with an online dollar store supplier for your educational supplies could be one of the most effortless shopping experiences you’ve ever had. Every year, after the school budget has already been spent, many teachers are still in need of certain school supplies. Due to underfunding and major cutbacks, there is never enough money to go around. Instead of letting their students go without, the majority of teachers dip into their own personal accounts without complaint. It has been shown through several surveys that a whopping 97 percent of teachers use their own money to help get what is needed for their classrooms. With the economy getting tougher and teachers getting very few raises, if any, this is becoming harder and harder for them to do. Many teachers are struggling to find ways to get the school supplies they so desperately need for their classrooms without breaking the bank. One of the easiest and most cost effective ways to get this done is to order school supplies in bulk. Ordering school supplies in bulk has the potential to save you a great deal of money. Once you have decided to order bulk quantities of what you need, you can usually deal with a wholesale retailer, such as a dollar store supplier. These suppliers are able to offer their school supplies and other items at a much cheaper price than you could ever find at any retail outlet. Usually, the more you order, the cheaper your cost. You will also be able to save on shipping when you order a large quantity of school supplies at one time as well. If you take a few minutes to check around, you may even find that some dollar store suppliers will give you an additional discount if you are buying supplies for the classroom, making your savings add up even more. If you’re looking to get a lot of bang for your buck, then ordering school supplies in bulk is the only way to go. Besides saving money, ordering school supplies in bulk helps to solve a lot of other problems as well. If you are able to purchase more than what you need right now, you can save the rest for later so that you don’t run into any shortages throughout the school year. Maybe there are students who can’t bring the basic school supplies like pencils and paper. If you have a stockpile of these items, then this kind of scenario won’t be a problem. Maybe you’re concerned about all of the other teachers not having what they need. You should consider teaming up with them to purchase all of the school supplies that everyone needs in bulk, and then splitting up the quantities once all of the products have arrived. Having such a large amount of school supplies at your fingertips could do nothing but benefit everyone. Getting your kids ready to go back to school can be a difficult and stressful time for many parents. There is always a long list of what they need, including everything from school supplies to new clothes. If you’re not careful, all of these costs can easily add up and break your budget. Having a plan in place can really help you to save a lot of money and avoid any extra stress. Here are a few tips to get you started. Keep your school supplies organized – Many times, parents buy extra school supplies while they are on sale to have on hand later, only to find that these same school supplies are missing or damaged when it is time to use them. Designate a certain area of your home to keep any extra supplies so that you know exactly where they are when your children are ready for them. Label all of your school supplies – There are plenty of incidents in the classroom where one student’s school supplies are lost or taken by another student. This problem can be easily solved by grabbing a permanent marker and writing your child’s name on all of their school supplies. Some classrooms have you bring in items that the whole class will be using, but if this is the case, the teachers will usually let you know that when they provide you with their list. Avoid trendy or gimmicky items – When shopping for school supplies, it is usually best to stick with the basics. Although almost every child adores folders with fancy designs, brightly colored pens and backpacks with the latest cartoon characters, these items are just not practical as they usually cost much more than their plain and basic counterparts. Although it is okay to splurge on a few of these kinds of school supplies, filling your cart with them will cost you quite a bit of money in the long run. Organize a back to school swap – Many times, families have usable items for back to school that they just won’t be using. Either the kids have outgrown their clothes (that still look like new), they want a new backpack (even though there is nothing wrong with their old one), or they have extra school supplies from the previous year that they won’t be needing for this year’s curriculum. The best way to benefit from this situation is to organize a back to school swap. Invite all of the parents you know to bring what they have, and everyone can get a few items they need while getting rid of the clothes and extra school supplies that they don’t. Not only is this free, but lots of fun as well. Start a school supplies co-operative – Lots of times, if you are able to purchase your bulk school supplies, you can get them for a much lower price, sometimes even at wholesale value. While this is a great way to save money, you often don’t need that many pencils or notebooks. A great way to get these savings, but not have to buy such a large quantity, is to start a school supplies co-operative with your friends, family or neighbors. All you have to do is find out what everyone needs, order the school supplies in bulk, and then divide up the school supplies and the low cost once your items arrive. This takes the hassle out of shopping in busy stores at this time of year and saves quite a bit of cash.